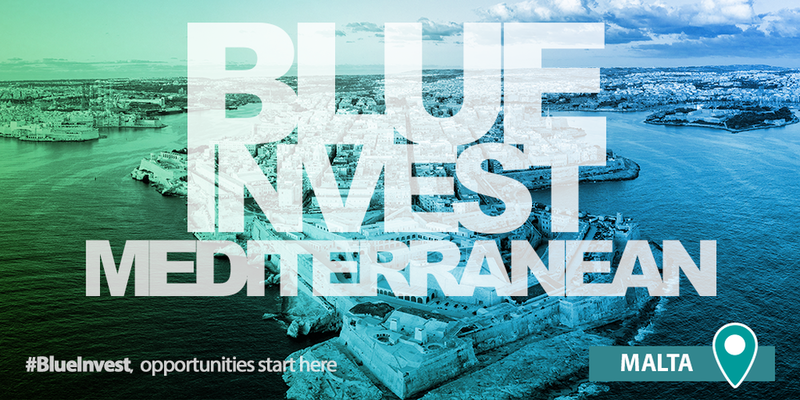 Following the successful Blue Invest event of May 2018 in Brussels, and within the context of the work on blue investment, the European Commission (DG MARE) is hosting the “Blue Invest in the Mediterranean 2019” event. It will take place on 24 January 2019 in Malta and will gather approximately 300 participants interested in the blue economy of the Mediterranean Sea basin. Following a similar approach to that of May 2018 Blue Invest event, promoting investment in an innovative blue economy, the aim is to mobilise private sector investment capital and lending. The blue economy has significant potential for sustainable growth and job creation, particularly around the Mediterranean Sea basin. Investment capital, both public and private, can play a significant role in developing this economic potential. Through this event, we want to increase the engagement of the financial community with the blue economy, and to stimulate investment interest in marine and maritime sectors. In addition, the event will indirectly support the implementation of cooperation initiatives amongst Mediterranean countries in the context of the UfM Blue Economy Forum, the WestMED Initiative, and the EUSAIR. Read more at Blue Invest in the Mediterranean 2019.